Islamabad: Pakistan’s Supreme Court on Wednesday prohibited members of the armed forces from engaging in political activities and directed state agencies like the ISI to operate within the law as it ordered the government to act against those propagating “hatred, extremism and terrorism”. The order by a two-member bench of the apex court came while delivering a verdict on the 2017 Faizabad sit-in by the hardline Teh-reek-e-Labbaik Pakistan (TLP) and other smaller groups. “We direct the federal and provincial governments to monitor those advocating hate, extremism and terrorism and prosecute the perpetrators in accordance with the law,” the bench comprising Justice Qazi Faez Isa and Justice Mushir Alam ruled. The court also directed all government agencies and departments, including those run by the army like Inter-Services Intelligence (ISI), to operate within the limits defined by the law. It also ordered that members of the Armed Forces were prohibited from engaging in any kind of political activity, which includes supporting a party, faction or individual. “The government of Pakistan through the Ministry of Defence and the respective Chiefs of the Army, the Navy and the Air Force are directed to initiate action against personnel who are found to have violated their oath,” it said. Several experts were of the view that Prime Minister Imran Khan was supported by the country’s powerful army in the last year’s general election. Pakistan’s military has ruled the country through various coups for nearly half of the country’s history since independence in 1947. The military plays an important role in the country's decision making. 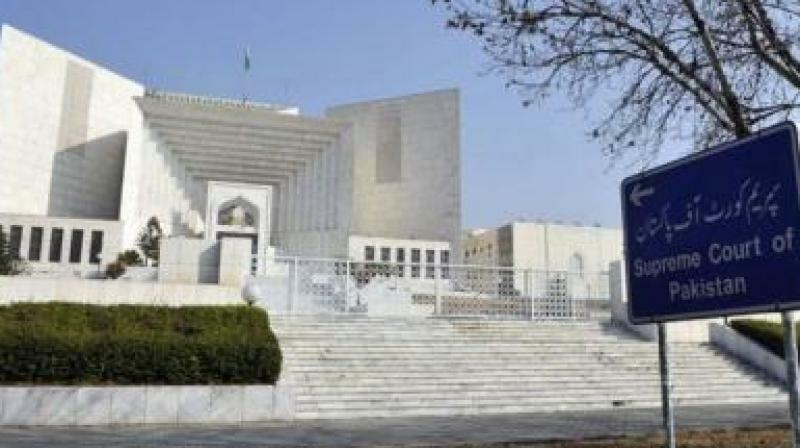 The apex court also outlawed religious edicts called fatwas that aimed to harm others.“A person issuing an edict or fatwa, which harms another or puts another in harm's way, must be criminally prosecuted under the Pakistan Penal Code, the Anti-Terrorism Act, 1997 and/or the Prevention of Electronic Crimes Act, 2016,” the court ruled.